Yesterday I received an unexpected ARC of Bring Up the Bodies by Hilary Mantel on my doorstep, however, being the impatient person that I am I had already purchased the hardcover on release day, so I am passing on the awesomeness to one of my loverly followers!! I am about halfway through and loving it even more than I did Wolf Hall, which I didn't think possible! - Giveaway ends on May 28th. Hi Amy !! Please enter me I am a follower of your blog and a fb page follower as well thx!! Ooh! Lucky for us that you're impatient!! Here's hoping. OOoo please! 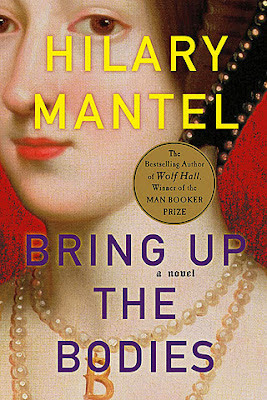 I have Wolf Hall (I need to crack it open) and would love to have the second one. Thanks! Thanks for the giveaway, Amy! Would love to win a copy. Thanks for the chance. I follow GFC @Jeanne and email. +3 Follow Passages to the Past on Facebook @Jeanne Bates Tennant. - +5 additional entries If you are already a follower you will automatically receive the bonus entries. 5+I am a follower following. On fb 3follow o3n twitter shared. On twitter. Thanks Amy. Wolf Hall was fabulous. I'm sure Bring Up The Bodies is too. +5FOLLOW 3FB 3TWITTER 1 SHARED. ON TWITTER. LOMAZOWR@GMAIL.COM THANKS FOR GIVEAWAY. Can't wait to read her latest! I am so excited about this one! Thanks for the chance. ooo i can't wait to read this book. I follow your blog and twitter. Thanks! Sounds excellent! Please enter my name for the chance to win this. Thanks! I've been waiting for this sequel. Thanks for the chance to win. This sounds too good to be missed. I'd love to win it. Hi Amy !! 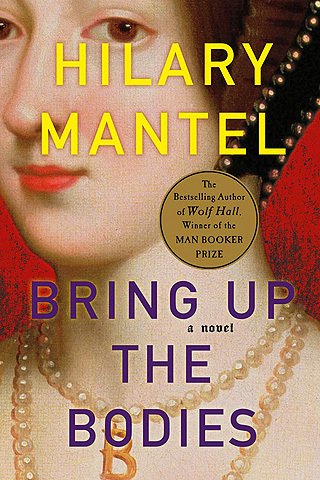 Please enter me for the Hilary Mantle Book Giveaway "Bringing up the Bodies"
I need to buy WOLF HALL and read that before I start this book. I really would love to win this book. I like the cover, don't you? Oh baby, let's see if I am lucky today. I've heard such great things about Bring up the Bodies. And many thanks for sharing! I'm so anxious to read this book! Thank you for the entry! Kai (Fiction State of Mind) and I are going to host a read-a-long of Wolf Hall soon. I had started reading it before, but had to put it aside due to other reading conflicts. Can't wait to pick it up again! LOVE this title...purely awesome. Thanks for the chance! Thanks so much for the giveaway! This book looks awesome! Thank you for the chance to win this book. It looks like a good one to me. - +3 follower of FB Page. - +3 follower on Twitter. - +1 posted on Google+. Wow, I'd love to, but like you I got Bring Up the Bodies on the release day (also my birthday) as a present! Best of luck to everyone else! Oh, YEAH! Please sign me up! I'd love to have this next to my bed!Thanks, Amy! I LOVED Wolf Hall and have been a Tudor addict as long as I can remember! I'm a new follower both on the blog, and Twitter, joined the FB page, and I re-tweeted the giveaway. Hi, Amy: "Bringing up the Bodies" sounds like a wonderful novel that would have the reader sitting on the edge of their seat. Can you imagine the fear with which people at court lived during that time? Knowing that some people had the power to end your life on a whim must have been extremely frightening. I am delighted that more and more novels of this time period are being written. It finally brings history to life in a truly interesting way rather than the dry fact and date memorization of past schooldays. I so admire all of these wonderful authors as just the research required to write these novels is enormous, not to mention the storyline to interweave with it.